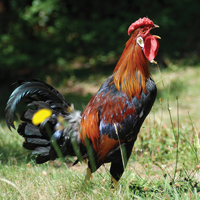 These are generally recognized as the most colorful of the Leghorn family and like all Leghorns lay white eggs, are nonsetters, have large combs and white ear lobes, and yellow skin, shanks and feet. Our Brown Leghorns have been improved over the years by the introduction of the world famous Danish strain. 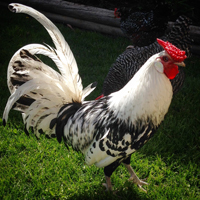 The male is very handsome with orange hackle and saddle and black stripes in center of each feather. The female is a medium brown with delicate penciling; wings are a darker brown and breast is salmon colored. The chicks are striped like little chipmunks, and are so lively when just a few hours old that we can hardly take the lid off the box without having them jump over the sides. How long do they lay? All breeds are most productive their first two years before slowing down in production rates. How come no one sells Isa Browns? Isa Browns would be very similar to our Red Star. 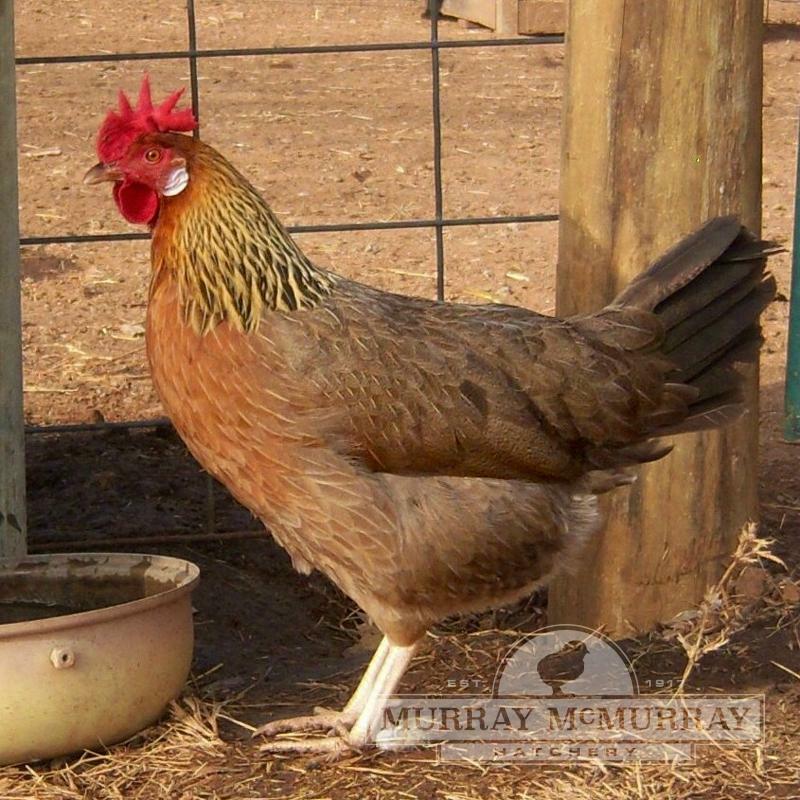 when should the brown leghorn start laying? 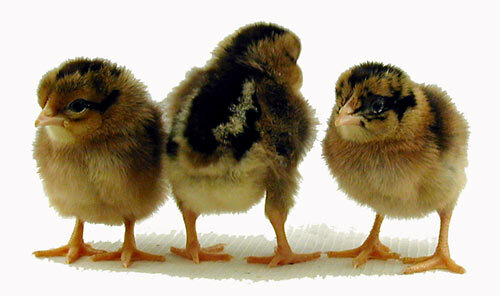 Hens will usually start laying from 24 to 30 weeks of age. BeautifulThey are absolutely gorgeous, but their personalities are not the best. One hen is the most flighty and neurotic of all my hens, constantly panicking and not allowing me to get anywhere near her. 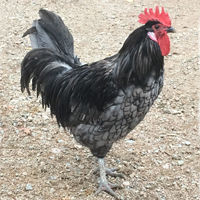 My rooster is unpredictably aggressive. He can be behaving nice and friendly, but then suddenly change personalities and attack. 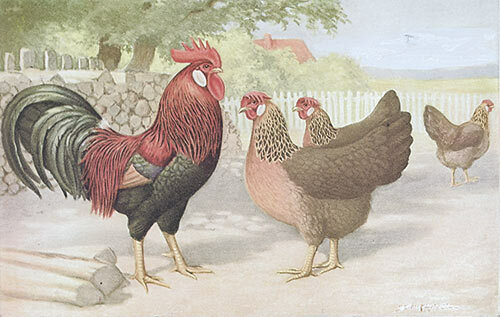 Still, they're beautiful and egg production is good.